How important are categories for selling ebooks on Amazon? Are readers still looking at bestseller charts? How to pick the right categories. How does Amazon set up categories? What is the importance of keywords? What is the best software for choosing categories? Jyotsna: Hello, everybody. 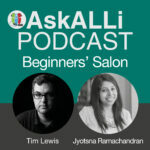 This is Jyotsna Ramachandran, founder of Happy Self-Publishing and your host at Self Publishing Advice podcast Beginner Salon and with me, we have our co-host, Tim. Hello, Tim. Jyotsna: How are you doing today? Tim: I’m not doing too badly. I’m just in the process of releasing a new book and talking about what maybe our show is about today. Jyotsna: Today, let’s talk about the best categories to choose for your book, because I think that’s something which most first-time authors struggle with because there are so many categories out there, right? Tim: Yeah. I mean this is most an issue on Amazon e-books, KDP. In as much as there are just so many categories, especially in the US store. And it’s something very easy to get wrong and to be honest, I’ve got it wrong and I may be getting it wrong with my current book, but I’m trying to at least to do the research and the due diligence in terms of “What category should my book come into?” so that’s kind of where it is important because it makes more difference than people think. Jyotsna: Right, so let’s begin by discussing “Why are categories important?” So usually the buyers on Amazon browse for books using two methods they either type a keyword on the search bar and they search, so that’s why keywords become important so that your book gets listed for the relevant keywords but another set of people search for books using categories. So they look at the categories on the left hand sidebar of Amazon and they click on the relevant categories and then the subcategory and then they see which are the bestselling books inside that category and that’s how they decide which book to buy, so I think that’s why both categories and keywords are important, right? Tim: Well, yeah, I mean categories, if you look at any kind of Amazon.com book listing for an ebook and you scroll down kind of past a lot of the text blurb and the rest of it, you’ll see, basically, for every category that you’re seeing, you’ll see a chart ranking for where it is. So, you’ll see the main, like, how many, what number it is in the whole Amazon store, so there could be 300,000 or 2,000 or number one if you’re doing really well. And underneath that it will say something like sort of, Travel, United States or sort of nonfiction, business, something, there’s a whole series of categories available there.Now, it’s obviously easier to chart higher in a category chart than it is in the main Amazon store. Tim: Unless you’re like Elon Musk or somebody you’re unlikely to get into the top charts in Amazon. And, I mean, I interviewed Adam Croft on my show and he has actually done that, he’s got to number one in the whole Amazon store, but then he, basically, he did that on the back of being published by Amazon imprint so he had all of that kind of, they had a whole massive promotional campaign. But for most of us mortals, we have to look for a chart to appear in and I’m not sure it’s as true as it used to be that there are lots of readers who are looking at charts necessarily. I think if somebody, like, say, somebody likes, I don’t think this is a category, but let’s say there was sort of Vampire romance or something like that and you read one vampire romance book and then you discovered that you really like those books and then you look to see what other books are available in that chart. You can get to that chart easily by clicking on the, you see that your book is number one in the Vampire Romance charts so you can click on that and you can see all the other books in that particular category. Tim: So, I mean, we’re looking for any way to get our book in front of people on Amazon or get our book in front of people, full stop, so those categories and charts on another way to do that. Tim: The other advantage is, and I believe it still does this, is that if your book is number one in a particular category then you get a sort of a bestseller tag against your book. Which, again, helps with helping your book to have cache, so even though you’re, like, number one in piano tuning or whatever and they’re might be like two books in that category and now you’ve sold one book and you’re already number one, your book will still get that tag and you can say that you are an Amazon best seller. The fact that you actually didn’t really sell that many copies is kind of irrelevant. And the other important thing about categories, I suppose, is that some will be high demand, there’ll be lots of readers looking at those categories and there’ll be other categories where there is no demand whatsoever and there are lots of books in those categories. So, trying to get that balance right is really hard and it’s important to give the time to look at the categories of your book because you want to actually add the extra one or five percent of sales that you would get because you appear in a chart or something along those lines, so that’s why categories are important to new readers, new authors. Jyotsna: True, very true, Tim. So what I do is when I look at relevant categories, I divide them into three, highly competitive categories where, you know, everybody wants to be number one in business or self-help and usually these are the broader categories. And there are these very, very less competent categories, well, you know, there are hardly ten or twenty books in the entire category and yes, there is a sweet spot in between, which is neither too competent and not too easy to rank, so it’s somewhere in between and the reason why we pick categories could be different for different people. So these are two different ways of looking at it, but as you rightly mentioned, Tim, it’s good to have a balance of both, which is why, I think, one good thing about Amazon is we don’t have to restrict our book to one category. KDP allows you to choose two categories, but what I tell my clients is you can go ahead and ask KDP, go and contact KDP support and ask them to add your books in more categories and from my experience, they don’t mind adding your book to up to ten categories without raising a question. So, you know, little by little, we asked them to, “Can you add my book to these three categories today, then after a couple of days I would say, ‘Hey, I found two more categories which are perfect for my book so please add my book to these two as well.” So that way, people can easily get their books listed in ten categories, so out of which a couple of them can be the most relevant, yet highly competitive categories so that you still are there, you know, among those bestselling books and you can also target a few of those categories which are not so competitive and you stand a chance to get number one, right, so that’s I think a balanced approach. Tim: Oh yeah, I mean, I think it’s all very murky how Amazon sets up subcategories and how on the KDP interface you only get two that you can pick from the KDP dashboard, however you can get your book into other categories by putting particular keywords in, or by, as you say, contacting Amazon support and asking them. I think there is some kind of restriction in that you can’t have more than two sort of categories in different branches so you couldn’t have, like, travel nonfiction and then sort of literature or something. You can’t have them in two, like, massively different, you can only have two, but I think you’re right, within those big sort of trunk areas, so, like, you can have, like, a huge number of nonfiction categories, because like business and travel and the rest of it has got a huge number of subcategories underneath. But if then you tried to put it into something totally different as well they may say no to that. My understanding is you can actually have in up to sixteen categories. Jyotsna: Is there? I should try adding my book to six more. Tim: Well, yeah, but again, it’s really hard to get these because a lot of the key words they won’t tell you about, they have examples on their page, so I think, really, you are doing the right thing advising people just message Amazon support and say “Can you add my book to these categories” and make sure they don’t- Yeah. Jyotsna: The reason that sometimes is important to them is because the categories that are shown inside KDP, which we can select are very different from the actual categories inside Amazon. The category trees are very different so the best thing to do is instead of just mentioning the category name, we can go to other books, maybe, you know, there are a couple of other books which are very similar to mine, so I go, click on those books, scroll down to see what category they are in and then you can select the entire category tree so Kindle store and then comes, say, nonfiction and next to that comes business, and under business there is small business, so I select the entire category tree and I put it inside the mail that I’m sending to KDP support so that way they know exactly which tree I want because the same word can actually be repeating in a couple of different categories which we don’t preferably want, so I think that’s why it becomes important that we exactly specify what we want. Tim: Yeah, no, you have to, because, as you say, I mean, it’s like, my book’s about social media networking and social media appears as a category in about five different places. And they all kind of like totally, one of them is like business social media category and there’s like technology and networking social media. I’ve also got some stuff about travel and romance in it, so I’ve got a huge number of categories to pick from and I’m going to go through the process of mailing. I’ve tried doing the keyword route and that doesn’t seem to have worked so I’m going to have to just list, I want to be in all of these categories please. The one thing I would say that is to Amazon’s defense is that Amazon.com, the U.S. branch of Kindle, has a way larger group of categories than any other Amazon store. Tim: So the reason why they have these sort of very broad, strange categories on the K.D.P. dashboard is they’re for the global audience, while Amazon.com has its own extra categories which you can only get into by asking to be in them or by the keyword approach. And I don’t know, I don’t think that Amazon will change keywords so you could just email KDB support and use your keywords for your keyword stuff. I think Amazon.co.uk has its own keyword and extra categories but they’re mainly for biographies, so for most people, unless you’re writing a biography, biographies are very popular in the U.K. so they’ve got their own extra category structure in the Amazon.co.uk store. US has a huge number, why, there’s almost like double the number of categories of any other store so, it is very US-specific a lot of this, but then the US is the biggest ebook market and it’s the one that really matters to most people at the end of the day. Jyotsna: Absolutely. So, Tim, what would be your advice or how do you go about finding the list of these, sorry, I will just repeat that. So, Tim, what would be your advice on how to go about listing these categories, because there are so many you actually manually go to Amazon and go inside each of these sub and sub sub categories or how do you go about it? Tim: Software, which I haven’t used myself to try and find categories for you. Now to do it manually is relatively straightforward, it’s just really dull and time consuming. So, if you want to do it manually, what you have to do is to go to a category, you can find them on, basically, click on kind of Kindle charts or Kindle places or something on the Amazon.com site, it’s harder to find than it used to be and then you’ve got to find a chart for a category and look at the first book in the charts and find out what Amazon total Amazon ranking it has. We scroll down, it shows you the rank in the whole Amazon store and then it shows you the rankings. The higher the number the easier it is to chart in that chart in general. Now, the problem is that you really want to be picking like number ten in that chart as well and looking at that number because it could be a chart where there is one book that is charting there which is like a mega bestseller, but everything else in that chart is kind of like, like selling two copies or something like. So, and the other thing to have a look at is how many books are actually in that chart. I’m not sure this is as visible as it used to be. There used to be a number to say how many books were in a particular chart but you have to just scroll through and find it. So it’s a case of writing down all of these numbers for each of the charts that you think your book may be applicable for and then doing the analysis of it. It’s possibly easier, I mean, for fiction there are less charts than for nonfiction. And so, for example, in my time travel books, I went into the time travel category but even that was relatively competitive. Fiction categories are competitive but they sell a lot of books, I mean, fiction generally sells more books that nonfiction but the charts are more competitive. It’s only if you’re writing something like cyberpunk or some really obscure, derivative fiction category that you may be able to, I mean there’s an example I was given was rodeo romance and so if your book is about sort of about rodeo people having romances, then you could easily chart in that category because it’s probably going to be twenty books or something, half of them released two years ago, so you can get ten sales and you’re going to chart number one in that chart. So, yeah, so you can do the process manually but you may want to look at buying a software product or buying a report of a company like Klitics that does all this kind of research for you. Jyotsna: Let me give you my perspective with nonfiction. So what happens is we regularly run promotions for our clients to make their books hit number one inside at one relevant category. So the process is pretty much the same, using the keywords and using the, you know, the blurb of the book, we get to know what it is about and we go and find all of the relevant categories inside Amazon and then, as you mentioned, we usually look at the first book and the tenth book in that category. This is a thumb rule that I follow, if the first book is ranking, the overall Amazon rank is twenty thousand or more, then it’s quite easy to hit number one in that category, so that’s like a very less competitive category and the mid-range will be somewhere between seven thousand to twelve thousand rank where it’s not too difficult but it becomes really difficult if the first book is less than five thousand rank, because, you know, we usually run a one week campaign to make sure that the book hits number one and we contact a lot of these promotion websites and do that. So usually, by running that promotion, the book can rank less than ten thousand and hit number one if it’s in one of those easy to rank categories. So that’s how we pick a mix, you know, some which are really competitive just so that the book is also present and among the other good books and we choose some of these less competitive categories so that the book earns the orange badge as well. Tim: Yeah, well, I mean, the theory, I suppose, I would recommend is what you want is you want an easy category, then you want a slightly harder category, so from the boost of hopefully a few sales you get from the easy category, it will push you into the chart of the next category up and that’ll give you a push and then you want a slightly harder category and that, in some ways, would be the ideal. You want to set up a ladder of categories where the extra sales you get from being in a chart, and I’m not sure that is as much as it used to be, but the extra sales you get in a chart will push you up a bit into the next one until you can get to, hopefully, the really top competitive category that you’ve been, like, number one in all of these subcategories. I think that would be ideal, but obviously, unless you’ve got a book that can really fit into hundreds of categories really easily. Because, one of those charts is massively irrelevant your books. So, your book is about social media and you’re in the water skiing chart or something, then that could really, you may chart in it, number one, but it could negatively impact the reputation of your book because people will be buying your book and leaving rubbish reviews. Jyotsna: So by choosing something so irrelevant, authors will actually end up losing their credibility, right? Tim: Yeah, I mean that’s exactly the case. I mean, if it’s vaguely relevant then you can make a case for it but, as I say, if you’re in the water skiing category and your book is actually a vampire romance and then people are buying the book thinking it’s going to be about water skiing will be disappointed and leave bad reviews and that your book could be the best vampire romance book ever but if it’s in the waterskiing category you could get, like, bad reviews because of that. Jyotsna: True. A lot of times authors feel that this entire category selection is a very, very time consuming process. Jyotsna: So when we do it manually, I think, it can take about a couple of hours, right? So if it’s your first book you will put in that kind of effort to find the right categories, but if you’re an author who produces multiple books then you might want to consider investing in a good software. So, I came across a couple of options. One is KDSpy and the other is KDPRocket. So these can give some good category suggestions, so you might want to check it out and probably do a free trial and see if it’s worth investing in. Tim: Oh, yeah. Yeah, so I mean, they know their target audience is indie authors and indie authors don’t spend much. So, most of them do free trials and they don’t charge that much. Jyotsna: So do you want to add anything else as a closing note, Tim, on how to choose the right category? Tim: Well, yeah, I mean, this is something I’m facing at the moment. There is this relevance versus, like, tactical categories to put your book into. The sad fact is I think if it’s even vaguely relevant and it helps you to put in that category, you should probably do it. I have been thinking, I’ve got one section in my book about travel and I’m going to put my book in travel categories. And in some ways I would like to be, “Oh, all books have to be exactly about what the book is about” but I think you need to look at how you’re, the important thing is to get your book in front of as many people as possible at the end of the day because that helps your sales so it’s worth considering and don’t be, don’t think that, if your book has a large tread about another topic then I think is justified putting that into that category as well. As long as you don’t try and, you have to like, a different book description, as long as the book description describes that it’s only part of what that book’s about then I think that’s perfectly fine. Jyotsna: And I also think authors shouldn’t get too stressed out about this, because Amazon lets you change your category at any given point. So today, you might choose a set of categories and a couple of months later, if you find better categories you can always remove the book from a couple of categories and add it to more relevant ones. For example, when I launched my book it was ranking number one in several categories for a few weeks and then I was very happy and I forgot about my book and a few months later when I go back I see that people like Tony Robbins, Gary Vaynerchuk have all launched their books and they are topping the charts now inside the same categories. So I should have been proactive and changed my categories every now and then, but it was a learning. So I think published authors should revisit the categories every few months. Tim: Oh yeah. I mean, it’s, I mean, I believe, brief hours to do. The other thing is the categories can be a bit broadly interpreted. So come back to time travel, which is the first topic I wrote about, but Time Travel Fiction, that is. I don’t know about any time travel, I’m not going to reappear in next week’s, in last week’s show, again. But the time travel fiction category, despite being in science fiction, there are a large number of time travel romance books in that category as well, and also the time travel category split between what I would call more historical fiction time travel, so people going back and describing everything in massive detail and more kind of like Sci Fi action adventure time travel, which is more the sort of stuff that I wrote. So even within these categories there can be lots of books appearing and you think, that’s nothing like my book at all. And that is why the time travel category is actually harder to rank in than maybe you would have thought if it was just action adventure kind of time travel Sci Fi stuff. And that’s true about a lot of other categories because there are author who think that, well that kind of applies to my book and it’s easier to chart in, I’ll go into that category. So the categories aren’t necessarily as clear cut as they could be in terms of what the books are. But obviously you don’t want to be too far away from that just to try and get your best seller badge necessarily. Jyotsna: That’s so true. So, guys, I hope you all have fun choosing the categories for your books and Tim and I will see you next month with yet another episode to help you become a successful indie author. See you soon and don’t forget to subscribe to our YouTube channel. Goodbye. Tim: See you all soon. Bye.